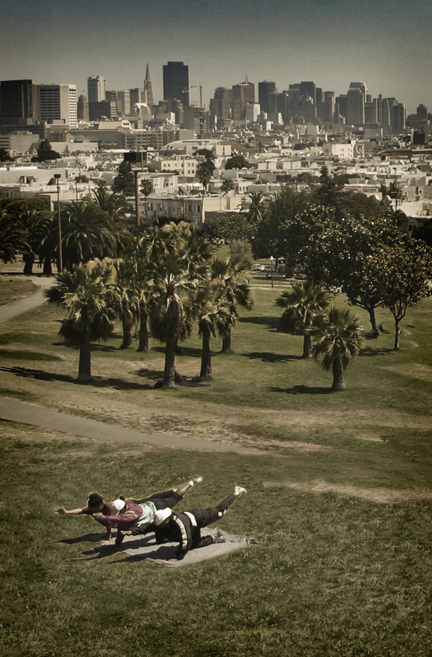 The 14-acre Dolores Park used to be a San Francisco cemetery. But in 1900 the city banned burials within the city limits. Those already buried were scheduled to be moved south, to the city of Colma. Due to the loss of records during the 1906 earthquake it is unclear whether all those interred were relocated. Today some people swear they hear strange noises and feel eerie presences while in Dolores Park at night. To those not as attuned to spiritual forces, the park offers six tennis courts, one basketball court, two soccer fields, a playground, a clubhouse, and a great view of downtown.